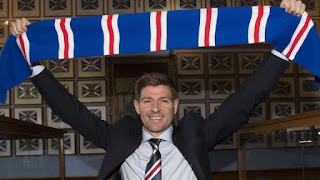 With Steven Gerrard’s summer business at Ibrox well and truly deep into action, it is now worth a very premature look at what kind of XI the new manager may be looking at. What players will make the cut of the existing squad? Which new signings are dead certs to start? 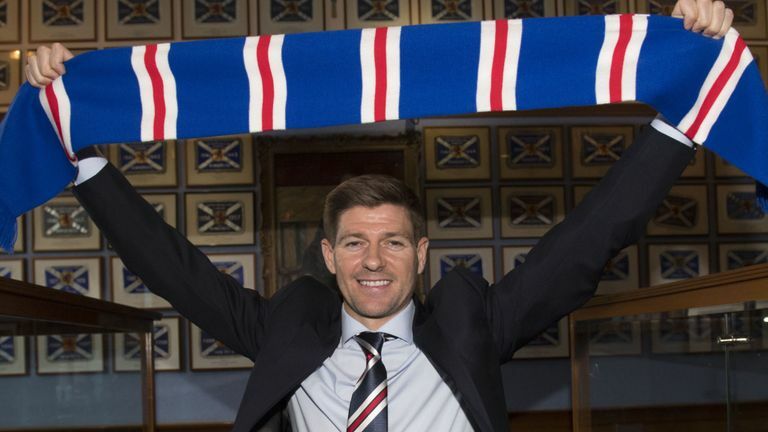 What formation will Stevie favour? Allan McGregor. Easy one. There’s no competition. Nuff said. Doubts persist over the future of James Tavernier, with Rangers said to be open to offers, but the other side is surely Declan John’s slot to lose. Otherwise there’s Lee Hodson and Lee Wallace, both of whom appear surplus. Martin Skrtel and one of Bruno Alves, Reece Burke, Connor Goldson, Kyle Bartley and Fabio Cardoso. Fans appear to be favouring Bartley albeit nothing from the club yet about interest in the Swansea stopper. Rangers haven’t yet secured anyone new for this area of the pitch, nor have they even been heavily linked with anyone beyond Lazio’s Lucas Leiva. For now it’s Ross McCrorie, Jason Holt, a fit again Ryan Jack, and Greg Docherty. Scott Arfield and Jamie Murphy are the two Gerrard men. They will be prominent under the new manager. Daniel Candeias of course remains at the club, while Harry Wilson and Oliver McBurnie are said to be close. All three of Morelos, Cummings and Herrera are either leaving or close to, and it appears Stevie Ger is looking at Jermain Defoe as one major recruit. It clearly needs more work and more balancing but several formations are possible here and defence already looks heaps better. But it’s early days and there will be further incoming. Hold our hands up, we flat out forgot about him! Totally agree re Rossiter. The only midfielder , last season, to nullify McGinn - and that includes Brown and Shinnie; who both had a go but failed. Also, let's stop nonsense about Defoe - he ain't coming! If we could get Lucas.... now that would be a capture! Surely mcburnie would be a forward? Jason Cummings needs to be signed up and played correctly with support. We all know he is highly likely to be a goal machine and a steal at 1 mill. Not included are possible signings. Etc Etc Etc Etc Etc Etc Etc!! Obviously people would drop to the bench and players would come in. But honestly look at the difference already. Team & Bench. 4-4-2 never fails... Big Skertl hope that gets over the line soon.. Dorrans is a dilemma for Stevie G I’m sure he will sort it all out..
You are having a laugh. There's at least 2 in your list that won't be anywhere near Glasgow at the start of the season - and whilst Defoe is one of them earning, allegedly £100k per week, you have him sitting on the bench. HA ha ha. Welcome to the Rangers supporter's website. It's good to have you on board. Bit early for the Whisky Scott! Defoe & Crouch - won the Euromillions have you? Rossiter is 1st name on team sheet! If he keeps fit he's the potential captain. Rossiter and Mcrorie in midfield...I can't wait! Let's go! Article is silly nonsense. Willing to bet the team will be nothing like it.